Cities are filled to the brim with cars which amounts to smog-filled air and crash prone streets. To reduce these trends, the new buzzwords in urban development and planning are “walk-able” and “bike-able” communities. Unfortunately as walking and biking is encouraged, so do instances of fatal pedestrian and bike accidents. 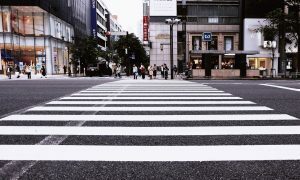 According to the National Highway Traffic Safety Administration (NHTSA), bicyclist and pedestrian deaths and serious injuries have been steadily rising since 2012. Pedestrians and bicyclists are particularly vulnerable in motor vehicle accidents because they lack the inherent safety provided by automobiles. Data collected from the National Household Travel Surveys from 2001 to 2009 showed an uptick in walking and biking. The surveys also showed that over the same time period there was a decrease in fatalities. However that downward trend was reversed in 2009, which has seen a steady increase in both pedestrian and bicyclist fatalities. In 2012, there were 726 bicycle and 4,743 pedestrian fatalities and an additional 49,000 bicyclist and 76,000 pedestrian injuries. Combined these fatalities represented 16.3 percent of all motor-vehicle related fatalities. Bicycle and pedestrian related fatalities and serious injuries can occur literally anywhere a person can walk or bike. This makes tracking and combating these trends unusually complicated. The majority of fatalities are concentrated in urban areas, specifically in low-income neighborhoods. As a result, African Americans and Hispanics make up a disproportionate share of fatalities relative to their population ratios. The study also noted that the elderly (people aged 65 and up) make up 20 percent of fatalities, more than any other age group. However these numbers only show general trends, not specific safety areas or concerns. Additionally, while urban areas account for the greater share of accidents, rural accidents tend to be more fatal. These findings suggest that access to reliable emergency medical care is critical to surviving these accidents. Due to the ubiquity and variety of the accidents, top-down government programs are unlikely to make a dent in these trends. In recognition of this fact, the U.S. Department of Transportation launched the Safer People, Safe Streets Initiative. This Initiative utilizes a grassroots approach to educate bicyclists, pedestrians and drivers on safety and road sharing. The Initiative also brings together industry and safety experts to develop new ideas on safety. This Initiative hopes to both increase biking and walking and decrease fatalities and serious accidents.